HSBC aims to increase its Asia private banking headcount by two-thirds in five years and double client assets in eight as it eyes a bigger share of the business in the world’s fastest-growing wealth market, top executives said. The lender’s private banking expansion plan in Asia, which accounted for 75 percent of group-level profit last year, comes as the unit that caters to the rich is focusing once more on growth after years of painful restructuring. “Asia is the key driver for future profitability in the private bank … it’s been the driver for growth even through the difficult times and it’s always remained profitable,” Peter Boyles, CEO of HSBC’s global private banking business, told Reuters. HSBC’s Asia private bank will add 700 people by 2022 from a headcount of 1,100 at the end of 2017. The increase will add staff in various roles including relationship managers, product specialists and family wealth planners, said Siew Meng Tan, Asia Pacific head of private banking. HSBC’s global private banking business manages $330 billion (£253.69 billion) worth of clients assets, and Asia accounts for 39 percent of the total, making it the single largest market for the bank. It also aims to double Asia-based client assets by 2025, in-line with consultant Capgemini’s overall wealth growth forecast in the region over the same period, as it expands its presence in the banking hubs of Hong Kong and Singapore and also vies for a bigger share of offshore Chinese wealth, Tan said. Asia has emerged as the main battleground for global wealth managers, with higher economic growth, rapidly rising wages and a thriving entrepreneurial ecosystem producing rich clients at a pace faster than the western world. Asia Pacific accounts for 34 percent of the world population of high net worth individuals, or those having investable assets of $1 million or more, and 31 percent of their wealth – ahead of North America, as per Capgemini’s 2018 wealth report. Clients with more than $5 million of investable assets are served by the bank’s private banking unit, while those with less than that threshold are taken up by HSBC’s retail banking and wealth management division. 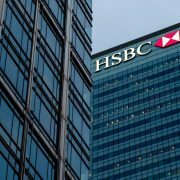 HSBC’s private banking business had a torrid time following embarrassing data leaks in 2008 allegedly showing tax evasion by clients, prompting probes into the tax affairs of some of its Swiss account holders in a number of European countries. The bank in 2015 admitted failings in compliance and controls in its Swiss private bank in the period up to 2007. It has since then taken significant steps to implement global standards and tax transparency initiatives. The private banking unit, which brought in just over 3 percent of the bank’s adjusted global revenues in 2017, shrunk its footprint and exited some clients in the last few years as it sharpened its focus on compliance and profitability. “We have done the repositioning work and we are now seeing net growth coming through because the drag effect from business exits has now diminished,” said Boyles, who took over his current role in 2012 and spearheaded the restructuring. “We actually had a first year of growth for many years, both in assets under management and in net profit, in 2017. And moving into 2018 we have seen continued progress,” he said. In light of increasing standards within private banking, a clear definition of the services delivered to clients is necessary. An efficient delivery of these services requires an optimization of the processes and organizational adaptations as well as state-of-the-art IT systems. The world of private banking is changing. Increasing expectations of clients, changing regulatory requirements in applicable jurisdictions, as well as innovation among competitors all force private banks to precisely specify their market positioning. A clear definition of client services is an essential first element in providing advisory services of consistently good quality. Well-organized and standardized advisory processes come next, followed by a well-thought-out delivery model for the monitoring of client portfolios. The project scope included analysis of client needs and specification of new service packages in the area of non-discretionary mandates. To enable an efficient delivery of client services, the processes within mid- and front-office were optimized and supporting IT systems engaged (e.g. daily monitoring of client portfolios). 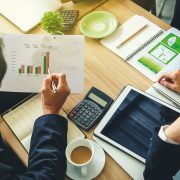 These measures took active account of both global and local regulatory requirements, thereby promoting excellence not only on the client side but also on the legal and regulatory side. 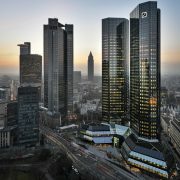 The former Goldman Sachs partner brought in revive to Deutsche Bank’s investment banking business in London has left in the latest of a series of senior departures at the German lender. Alasdair Warren, the big name investment banker hired two years ago as head of corporate finance for Europe, the Middle East and Africa, has departed, as Deutsche continues to strip away management layers under a strategy laid out by new CEO Christian Sewing. Warren is leaving to “pursue other opportunities”, according to a memo sent to staff yesterday, seen by Advisory Excellence. His responsibilities will be taken on by Mark Fedorcik, currently co-president of the investment bank and the former head of corporate finance for the Americas, who will add Emea to his role. “I am grateful to Alasdair for his contributions to Deutsche Bank over the past two years or so,” Garth Ritchie, head of Deutsche’s corporate and investment bank, wrote in the memo. Warren, the former co-head of the financial institutions group at Goldman Sachs, was brought in by former CEO John Cryan, who was ousted in April as part of a broad range of changes at the top of the troubled lender. Warren oversaw some significant recruits in Deutsche’s European investment bank as it struggled to maintain its formerly dominant position in the league tables. Robin Rousseau joined from Goldman Sachs in June 2017 to head M&A in Emea, while Thomas Piquemal was hired from EDF Energy as global head of M&A and country manager for France. He has since left the bank. Deutsche Bank has also split the co-head of Emea corporate finance role, promoting Adam Bagshaw, global co-head of private equity and Nick Jansa, co-head of global leveraged debt capital markets. They will report into Fedorcik. Sewing said during the bank’s annual general meeting last month that it was seeking to “de-layer” the management team across the corporate and investment bank, and its commercial and private bank. “Smaller committees, less hierarchy and more individual responsibility — that’s our motto,” he said. The chief executive of TSB will forfeit a £2m bonus payment in the light of an IT failure that left thousands of customers locked out of their accounts, as MPs accused the bank boss of being “extraordinarily complacent”. During a bruising evidence session before the Treasury select committee, TSB chief executive Paul Pester and the bank’s chairman, Richard Meddings, said they had received 40,000 complaints about the outage but did not know exactly how many of the bank’s 1.9 million online customers had been affected. Meddings told MPs that Pester had volunteered to give up a £2m bonus associated with the migration to a new IT system, hinting that other executives could also have their bonuses slashed. But Pester could still receive up to £1.3m in other bonuses for 2018, on top of a further £1.3m in basic pay, benefits and pension contributions. Pester declined to predict when the problems, which have been affecting customers for 10 days, would be fixed. The committee chair, Nicky Morgan, accused Pester of being “extraordinarily complacent” after he said the bank’s move to a new IT system, which triggered the problems, had mostly run smoothly. “What we are hearing this afternoon is the most staggering example of a chief executive who seems unwilling to realise the scale of the problem that is being faced,” she said. Pester insisted that 95% of customers were now able to log in to the bank’s mobile app and website without problems. However, MPs on the committee read out a series of emails and tweets from customers that indicated ongoing chaos. One customer said they had spent 14 hours on the phone to customer services, while another said they had been left unable to pay their gas and electricity bills and a third said they risked a house purchase falling through because they could not access bank statements. Morgan questioned the notion that the IT problems were mostly fixed, saying customers had been put in an “impossible financial situation”. Simon Clarke MP said Pester’s belief that most customers were now banking without problems could not be true unless there was a “mass conspiracy by members of the public”. Morgan added that two Treasury committee staff members had found they could not log in during the evidence session, drawing an unexpected reply from Pester. He said he was “disappointed” that some customers, who he admitted were being made to wait 30 minutes for their phone calls to be answered, were hanging up in frustration. TSB has marketed itself in large part on its ability to provide better customer service than larger high street lending rivals. However, customers began experiencing problems with their accounts on Monday 23 April after the bank – now owned by Spanish lender Sabadell – migrated from an IT system inherited from the previous owner, Lloyds Banking Group. Sabadell had hoped to make more than £100m in annual savings by using the new system, known as Proteo in apparent reference to Proteus, a Greek god of the sea often associated with change. Pester insisted the switch to the new system had been rigorously tested beforehand and was “running smoothly” for the most part but that it was struggling to deal with high levels of demand. “It’s the equivalent of having a shop that’s too small to let the number of customers in,” he said. He said around 50% of customers had experienced problems with their accounts on the first day of using the new system, with 40,000 complaining, compared to an average of around 3,000 during a typical 10-day period. Pester said around 22,500 have had their problem “acknowledged” by the banks so far. Pester and Meddings said customers would receive compensation from TSB, not only for any financial loss but also for emotional distress and inconvenience, adding that no customer would be left “out of pocket”. “We apologise profusely for the issues we’ve caused our customers,” Pester said, adding that it had been a “terrible decision” to go ahead with the switch to a new IT platform. 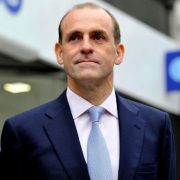 But he said that TSB was needed to challenge the so-called Big Five high street banks and provide greater competition. The accountancy firm Deloitte is advising on the bank’s compensation strategy, while TSB has recruited IBM to fix the IT problem and the City law firm Slaughter and May to investigate the cause. 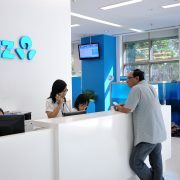 ANZ Vietnam will stop providing services to retail customers as they are transferred to Shinhan Bank Vietnam. HÀ NỘI — ANZ Vietnam has urged individual customers to consider making early cash withdrawals, payments and transfers prior to December 18 when the transfer of its retail business to Shinhan Bank Vietnam is completed. From 5pm of December 15, the bank will stop providing services for Visa debit and ANZ credit cardholders, including all local and overseas ATM cash withdrawal, all POS and online usage and SMS alert services. From December 11 to December 15, ANZ ATMs will be shut down gradually. For internet banking services, payment instructions submitted via internet banking after 12pm on December 15 or an instruction having payment transfer value date beyond December 15 would become null and void. Also from 12pm on December 15, ANZ will no longer accept cash payment for credit card or loan due on the same day. If retail customers are due to pay their credit card bills or monthly loan installment on the day, they are advised to arrange the payment to be received by ANZ no later than December 14. ANZ Vietnam’s retail customers can access to Shinhan branches from Monday, December 18. 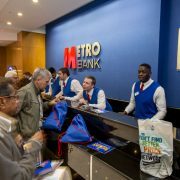 Metro Bank has started a review of its 14-firm lending and securities panel with the aim of launching the new panel during the first half of 2018. The current panel is made up of Blake Morgan, Bircham Dyson Bell, Breeze & Wyles, Cripps, EMW, Eversheds Sutherland, Herrington & Carmichael, Hill Dickinson, Howard Kennedy, Hugh James, Lawrence Stephens, MW Sols, Philip Ross and Pitmans. The roster was first put together in 2012 and was first reviewed in 2014. The bank has five panels in total including commercial, property, employment and litigation panels. The commercial panel is currently made up of Addleshaw Goddard, Blake Morgan, DWF, Gowling WLG and King & Spalding. The bank’s general counsel Sally-Ann James is running the review. James was head of contract and commercial at The Co-operative Banking Group until 2010. She joined Metro Bank as GC in 2012. The bank, which was set up in 2010, is known to go off panel and uses Linklaters as one its main corporate advisers. Linklaters acted on a number of deals for the bank in 2016, advising on its £1.6bn float on the London Stock Exchange and its £400m equity capital raise prior to the float.